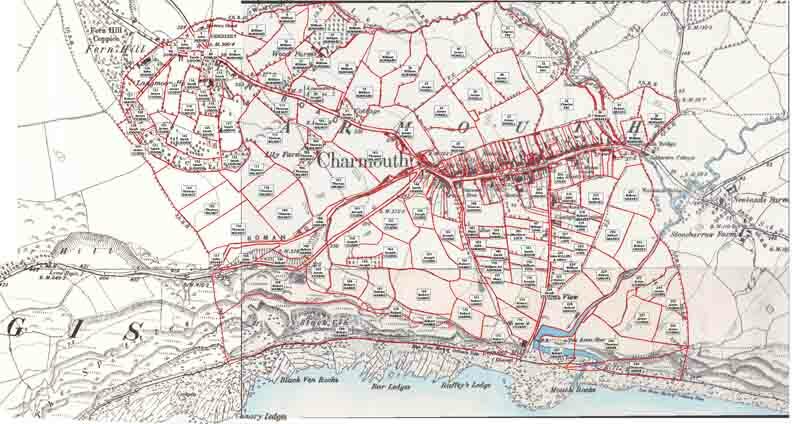 The occupiers for the rural parts of the parish as recorded in the Tithe Apportionment of 1841 displayed (along with the field/parcel number) on the 1890 6 inches to the mile Ordnance Survey map. The red lines are the approximate property boundaries of the Tithe Map. The OS map is a digital composite – joins are evident.